Retail Sales Data released overnight comes out as better than expected. Last night the latest Retail Sales data for New Zealand came in significantly better than expected at 1.1% beating expectations of 0.4%. This has led to speculation that Q2 GDP growth would be above the forecast 0.5%, decreasing the concerns of an interest rate cut faced by the Reserve Bank of New Zealand. The New Zealand Dollar is somewhat dependant on global economy; the positive news from China yesterday is covered in today's report. The table below shows the range of exchange rates for the past month and the difference in NZD you could have achieved in return when selling £200,000.00 during the high and low points. The New Zealand Dollar welcomed some positive news in yesterday afternoon’s trading after Chinese Officials announced that they are expecting to reach some sort of agreement regarding the recent tariffs that have been imposed from the US, which are currently having an adverse effect on riskier commodity-based currencies, such as the New Zealand Dollar. As a major producer and exporter of Dairy, yesterday’s Global Dairy Trade Index figures yesterday afternoon did little to increase appetite in the NZD. The GDT index dropped for a third consecutive month, down to 3.6% and highlights the on-going problems that the Chinese US trade war is having on commodity-based currencies, with China being New Zealand’s biggest trade partner for Dairy based products. Thursday’s meeting between US and Chinese Officials in Washington could well provide volatility for the New Zealand Dollar and other commodity-based currencies. At present, the New Zealand Dollar is a few cents off the 3-month low, however the fortunes of the Kiwi could be about to change if the talks match the positive reports that have been circulating yesterday. 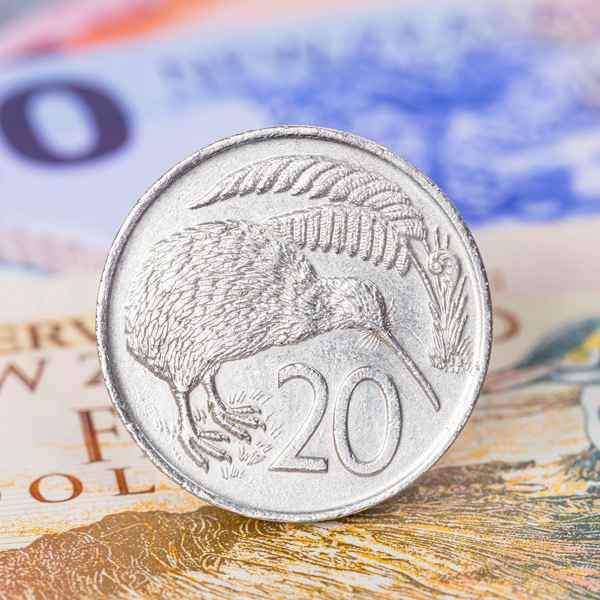 If you are thinking of buying New Zealand Dollar’s, it may be worth moving before Thursday when Chinese officials are set to meet as any positive news could trigger a reversal in the Kiwi’s value. Whilst the key focus for the week is likely to be the meeting between Chinese and US officials, GBP/NZD could also be affected from Trade Balance Data due to be released tomorrow. The Prediction is for the balance deficit to increase further, which if correct could see the New Zealand Dollar fall lower.